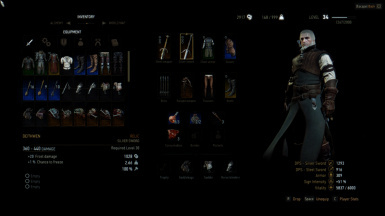 Removes weapon degradation so Geralt's weapons and armor will always be at 100% durability. Updated for Patch 1.30+! Removes weapon degradation so Geralt's weapons and armor will always be at 100% durability. If you already have a broken weapon/armor and you install this mod, you just have to use the weapon or get hit while wearing the armor and it will be set to 100% durability. - Just unzip the download file and drop the modUnlimitedDurability folder into your Witcher 3/mods folder. If you don't have a mods folder, create one.